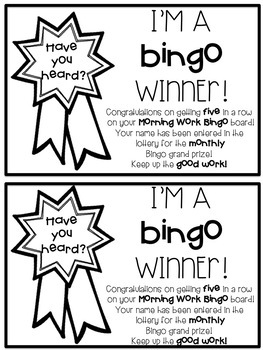 Mornings shouldn't be chaotic and stressful. 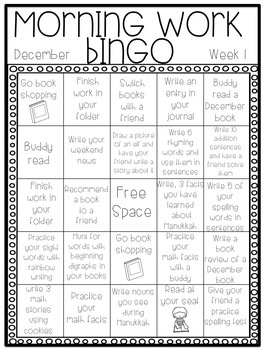 Morning Work Bingo was created to provide teachers with a no prep solution to getting students to independently practice reading, writing, grammar, and math skills. 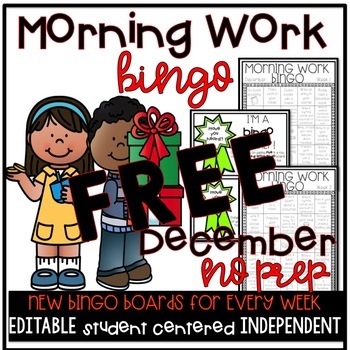 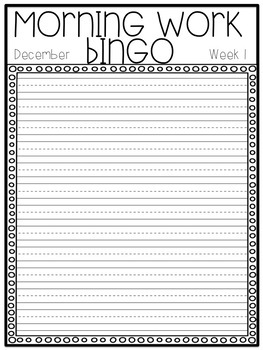 This is a FREE SAMPLE of Week 1 of December Morning Work Bingo.